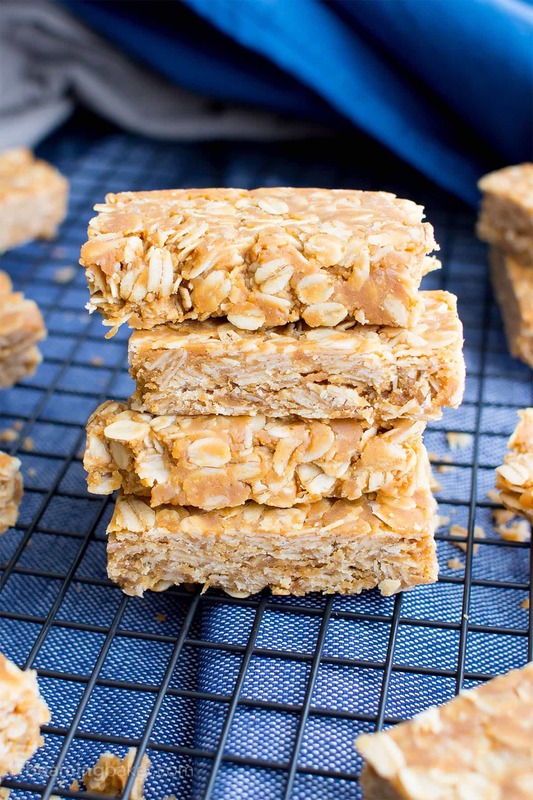 3 Ingredient No Bake Gluten Free Peanut Butter Granola Bars (V, GF, DF): a quick ‘n easy recipe for thick no bake peanut butter granola bars that taste like honey roasted peanuts. 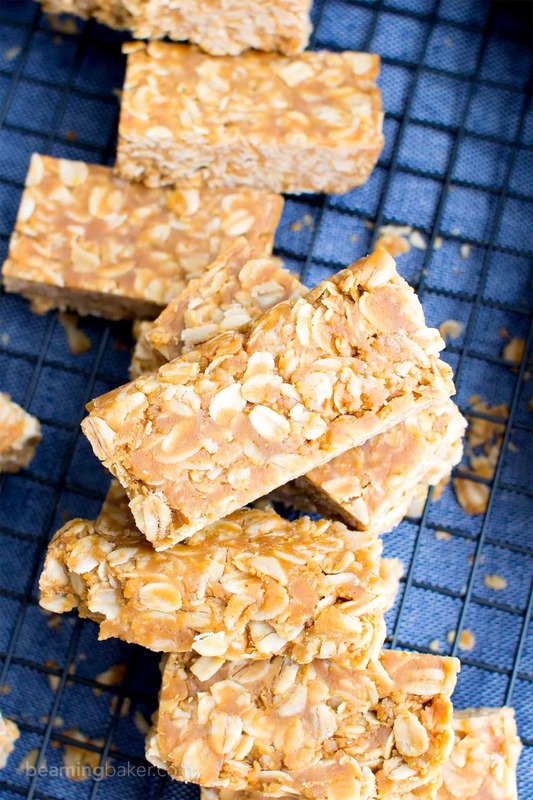 Vegan, Gluten Free, Protein-Packed, Refined Sugar-Free. Try the cookie version here. That’s what my sister Jenny just texted me this morning. According to Jenny, that’s my 3-and-a-half-year-old nephew Dylan’s final, locked-in rating of these no bake gluten free peanut butter granola bars! Woot woot! Recently, I sent Jenny, Dylan (aka “PB”), and Grams a tasty little care package full of granola bars, a top secret new brownie recipe (on the blog soon, I promise!) and two big batches of no bake PB oatmeal cookie dough bars. When they finally got the package (I’m the worst at waiting for fresh-baked goodies to arrive), we did our usual FaceTime unboxing. Erik says it’s very similar to those YouTube unboxing vids people do with monthly subscriptions—complete with a swinging camera, a zoomed-in hand holding one object still for the camera to focus on it, and lots of nosiness on our part as to whatever’s going on in the background. But nothing’s as good as the moment when they bite into the baked goods. 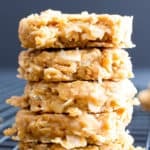 🙂 Jenny’s absolute favorite were the no bake PB cookie dough bars; and to my delight, Grams and PB’s fave were these No Bake Gluten Free Peanut Butter Granola Bars. Apparently, though, PB had to give these bars yet another try. Ya know, just to make sure and whatnot. 😉 PB gave his final, final two thumbs up rating after much deliberation and careful thought this weekend. Did I mention he’s 3 ½ years old? I mean, obviously, Luke Cage, Superman, Wonder Woman, etc. totally have the best manners ever, love fruits and vegetables, and speak with their library voices when fighting crime. Like, duh. What’s your favorite granola bar add-in? 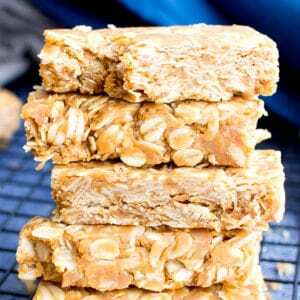 Check out the No Bake Cookie version of these bars here! 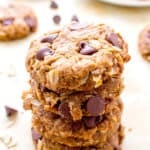 3 Ingredient No Bake Gluten Free Peanut Butter Granola Bars (V, GF, DF): a quick ‘n easy recipe for thick no bake peanut butter granola bars that taste like honey roasted peanuts. Vegan, Gluten Free, Dairy-Free, Refined Sugar-Free. Line an 8-inch square baking pan with parchment paper or wax paper. Set aside. Clear some space in the freezer for this pan—you will need it later. In a large bowl, add oats. Set aside. In a medium, microwave-safe bowl, add peanut butter and maple syrup. Whisk together until well mixed. Heat in 20-second increments in the microwave until warm, fragrant, and bubbles begin to form. Whisk in between heating increments. *Stovetop instructions in Notes. Pour the peanut butter mixture over the oats. Using a rubber spatula, stir and fold until thoroughly combined. Pour this mixture into the prepared baking pan. Using the rubber spatula, smooth into an even, tightly packed layer. Freeze for 25-35 minutes, or until firm and completely chilled. Slice into 18 bars (3 columns by 6 rows). Enjoy! Storing instructions below. - Refrigerator storing instructions: Store in an airtight container in the refrigerator for 1-2 weeks. - Room temperature storing: After the first day, you can store them at room temperature—they’ll be more firm. 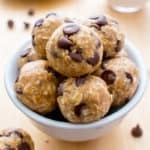 - More No Bake recipes: no bake peanut butter coconut bites, no bake chewy chocolate chip granola bars, no bake almond butter cookie dough bars. 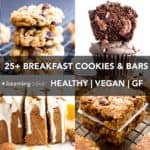 - More Healthy Snacks: paleo blueberry banana chia smoothie, gluten free trail mix cookies, gluten free vegan banana nut bread. These look great! I would want to eat the whole try! P.s. How have I never heard of Chick-o-Sticks????! Googling that now! I would definitely give these bars two thumbs up, too! 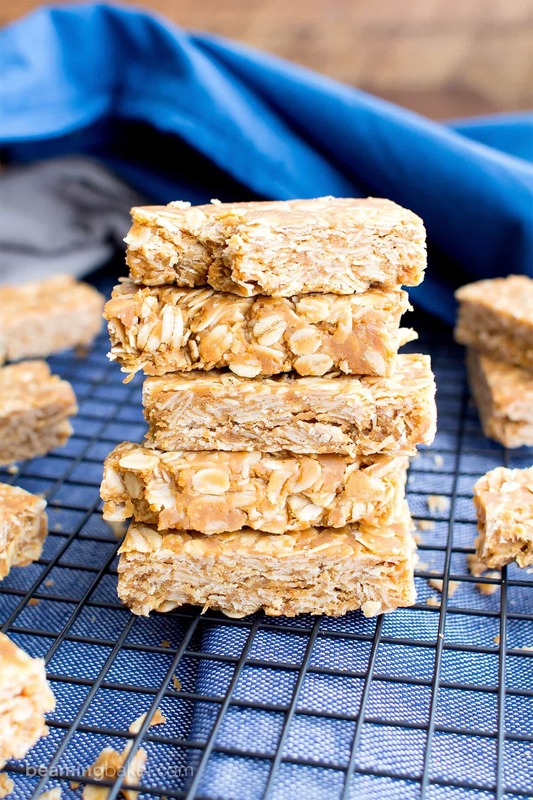 I mean, what’s not to love about pb granola bars that are SO easy to make?! This is definitely my kind of snack right here. 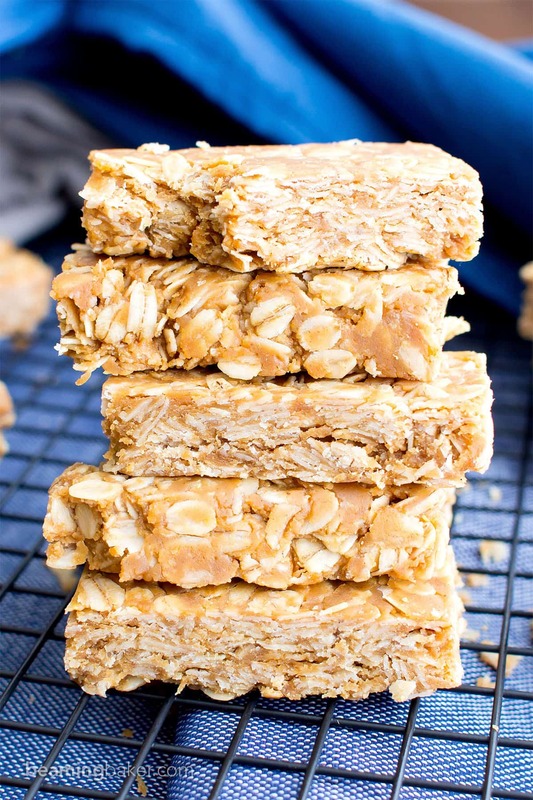 You are reminding me that it’s been FORVER since I’ve made my own granola bars, so I’ve got to try these. And just three ingredients? Count me in! Such a pretty treat, Demeter! Pinned! Hope you have a wonderful weekend! Aw, thanks Gayle! 🙂 There’s everything to love about these! Haha. But I might be a bit biased… 😉 Hope you try them and love ’em! Have a great weekend, my friend! Bahahahah- I so so love that y’all trick PB into thinking that a strawberry peanut butter smoothie is a milkshake!!! 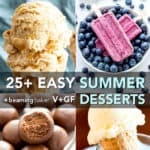 I used to trick my daughter (when she was a toddler of course) into thinking that yogurt was ice cream – then she went to a party once (when she was around 3.5) and I had my back to her and she was tasting someone else’s ice cream…. womp womp!!!! Btw – I see whay these bars are Grams and PB’s fave!!! 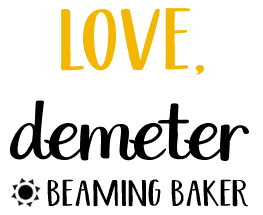 Demeter these No Bake Gluten Free Peanut Butter Granola Bars look wonderful and sound absolutely fabulous – so so sweet of ya to send your folks care packages of goodies like these! Looking forward to that brownie recipe! Happy FriYAY to you and Erik! 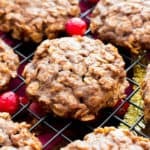 These sound really yummy 🙂 I was thinking, to add an extra crunchy texture, maybe I should toast the oats (and any additional nuts or seeds or coconut). All of your ideas sound fantastic, Tammi! The oats would lend such a delicious, nutty flavor. 🙂 I’m working on a few nutty & coconut-y combos as we speak. Hope you get to experiment too and just love it. Happy no-baking! 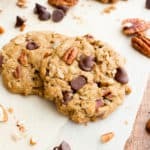 Just made these with Wow Butter because my son’s school is peanut free. I also used 1/4 cup maple syrup & 1/4 cup honey because I was low on maple syrup and subbed 1/2 cup of the oats for 1/2 cup toasted coconut. 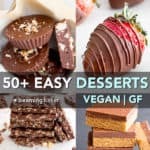 These were so easy & super yummy! Thanks for the recipe! I’ll definitely be making these for our school’s hot lunch program ???? Hi, I love your recipes, I’m far from an experienced cook, which is why I wanted to ask a question. 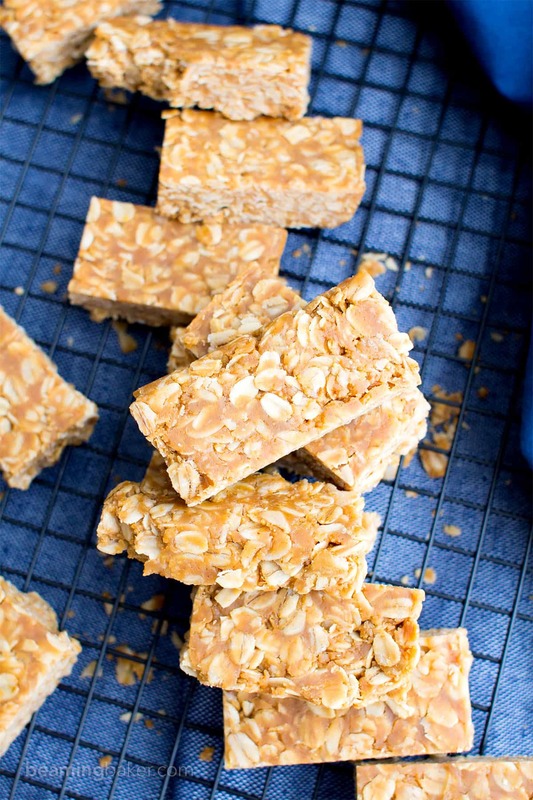 I added a banana to this recipe, which resulted in the bars, not ever firming up. What can I do to save this batch? 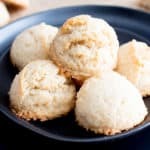 Could I add some coconut flour and bake them? Hi Demetrios, thank you! Hmm… adding the banana definitely made things a bit more complicated. That’s kitchen testing for you! 🙂 I’m not exactly sure how to save these. Perhaps you could fold in 2-3 tablespoons of coconut flour and place them in the freezer to harden. Then slice and enjoy! Good luck! I made this with Kirkland Signature’s almond butter because my little ones have allergies to peanuts. The recipe worked great! However, the almond butter and maple syrup mixture did not bubble. The granola bars were AMAZING anyway. ??????? ?I also added in in some coconut flakes, sunflower seeds, and flax seeds. Yummy! ???? Thank you so much for this recipe, I love it! But for the storing instructions, do you mean store at room temperature the first day, and then refrigerator the following 1-2 weeks? Do you know how long they will last at room temperature? These were delicious! I wrapped each one in a little wax paper so they wouldn’t get messy on the kid’s hands. Fantastic and simple recipe:) Thanks for sharing. So glad you and your little ones enjoyed these, Finnley! 🙂 Thanks for stopping by! I now make these every week for my family. I add raisins and cereal that is going stale. Easy, delicious, love it! I didn’t freeze mine. I left them in the counter overnight and they came out great. I added chocolate chips to mine. I added half a cup or so dairy free chocolate chips and a cup of honey roasted peanuts and used honey instead of maple syrup as that is what I had. I love the flexibility of your recipes. Thank you!! !